Pastel with pastel-pencil over blue watercolour on pastelmat card, 18x14 inches (45x35cm approx). Unframed. 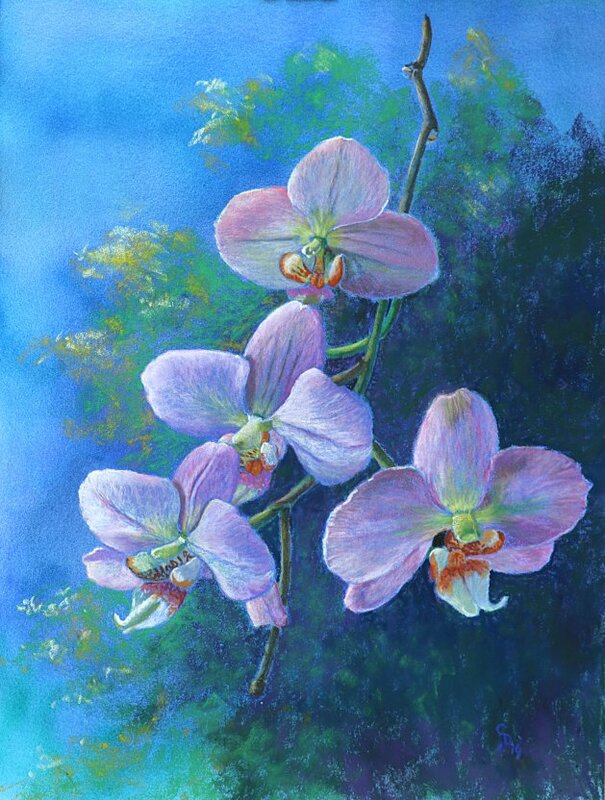 A group of pink-mauve orchids on a single stem, set against an impressionist-style green bush catching the sunlight to the left. The work will be packed flat, between protective paper and rigid boards firmly taped, before final packaging in a delivery carton; this will provide ample protection for the work prior to framing under glass.